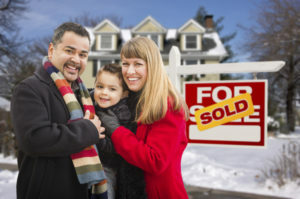 Even in California, where most of the state does not see freezing-cold winters, it is not uncommon for a person who wants to sell their home to hear that they should not try to sell a home during the winter months. While it is true that winter months tend to be slower for moving inventory, this does not mean you shouldn’t try – and there can even be advantages to selling in winter months. If you are considering taking the plunge this winter then we urge you to contact Berkshire Hathaway HomeServices California Properties at 310-373-0021. In the meantime, read on for five tips for selling property in the winter – and check out our additional tips for sellers. No matter what time of year you are interested in selling your home, making it move-in ready is an excellent way to get more buyers interested. Buyers who can see themselves moving into your home as-is are likely to be much more motivated buyers – which can mean a faster sale and a higher price. Making it move-in ready does not have to mean remodeling the entire kitchen. A few coats of paint, new faucets, and new flooring can be enough. Again, this is good advice any time of year but especially in winter when you are likely to have more competition and fewer buyers – set your home at a reasonable price. It is important not to be emotional when setting the price. It should be set based on comparable properties in the area – not what you paid for the property or what you’ve put into it. The advice of the past always included taking a home off the market around Thanksgiving and re-listing it after the beginning of the year. This is not recommended. It’s true that some homeowners do not want to deal with the hassle of selling a home during the holiday season – which means you will have less competition. Many potential buyers travel during the holidays and it may be the only time they have to check out homes in an area they’re about to move to. Home sell throughout the year. While many sellers get nervous when there are dips in inventory, because they believe this is a sign that it’s not a good time to sell, the opposite can be true: Get your home on the market while your competition is minimal. When you’re looking for your MLS listing, look for exterior shots on bright summer or spring days. The unfortunate thing about winter is that it can look a little drab and depressing. The more light you can get shining on your home, the more appealing it is likely to be.